August 8, 2017 - Two hikers had a terrifying encounter when they stumbled across the path of a mountain lion. While on the way back to their campsite for the night, the pair spotted a tail in front of them. 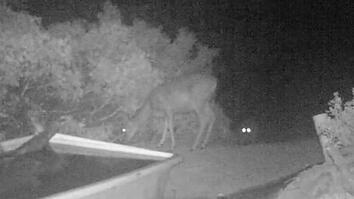 Thinking it was a fox or a bobcat, they started to film while continuing forward. 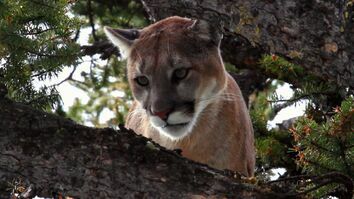 After the cougar rounded a corner they assumed it had disappeared until they spotted it staring directly at them from above. They eventually turned back and found another campsite to stay for the night. When they returned the next day the cougar was nowhere to be found. Cougars are ambush predators. If you encounter one in the wild its best to not run, and make yourself appear as big as possible. 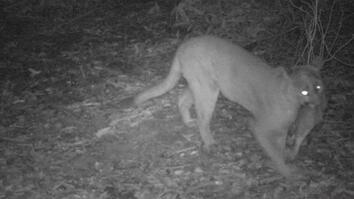 Click here to read Watch Hikers Come Face to Face With a Cougar.